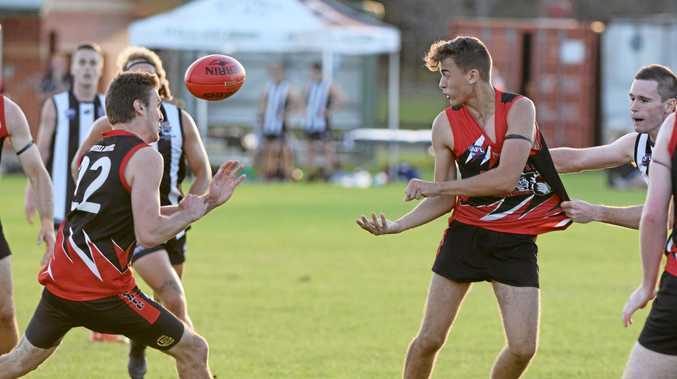 AUSSIE RULES: The Sawtell Toormina Saints' premiership defence has commenced on shaky ground after being outplayed by the Port Macquarie Magpies at Richardson Park on Saturday. The Saints were behind the eight-ball from the first bounce as their goalless opening quarter gifted the Magpies a 35 point lead. It didn't get much better for Saints in the second term, only kicking the lone major. They managed a small fight back late in the game but it was too little, too late as the Magpies began their season with a 20.8.128 to 11.7.73 win. The Saints women's team also couldn't secure a win in their first game back for 2019, having to settle for a draw with the Magpies. The other senior men's game on the weekend was one-way traffic, as the Coffs Harbour Breakers posted a massive win over the Grafton Tigers. The 2.3.15 to 34.25.229 win has put the rest of the competition on notice as the Breakers look for redemption after losing in last year's decider. Despite only having a pre-season intra-club match under their belt, the Breakers were straight into their stride, posting 17 goals in the first half. There was no respite for the Tigers in the second half as the Breakers continued to pile on the points. Ben Gibbeson had a field day, kicking 10 goals, with Shaydan Close adding a further eight. In total, the Breakers had 11 individual goal kickers.